Join us for these special events at our Inn in Harrodsburg, Kentucky! All year long, the Beaumont Inn hosts private bourbon tastings with Dixon Dedman in our tasting room. Please email Dixon Dedman to schedule your private bourbon tasting, dixon@beaumontinn.com or call 859-734-3381. Full details on this amazing one of a kind personalized bourbon experience at our Bourbon Tastings page. Start at the Beaumont Inn with your personalized bourbon experience, and then head out to tour the rest of bourbon country. In 2019 the Beaumont Inn is celebrating its 100th year. For more information on the 100th year, please click here. If you are coming to stay with us during our 100th year, our Mid-Century Celebration Room Package might be the perfect way to come for a visit. Coming into town to enjoy a night at the Norton Center in Danville? Stay with us and enjoy our Night at the Norton Center package deal. Full details here. May 4, Louisville, Kentucky Derby at Churchill Downs, The world’s most famous horse race celebrates its 145th year and the Inn and its restaurants are the perfect place to celebrate! Weekend of May 24, Memorial Day Weekend at the Beaumont Inn, and when our outdoor pool opens. Weekend of May 31, Our first Beaumont Classics weekend, part of our 100th celebration. 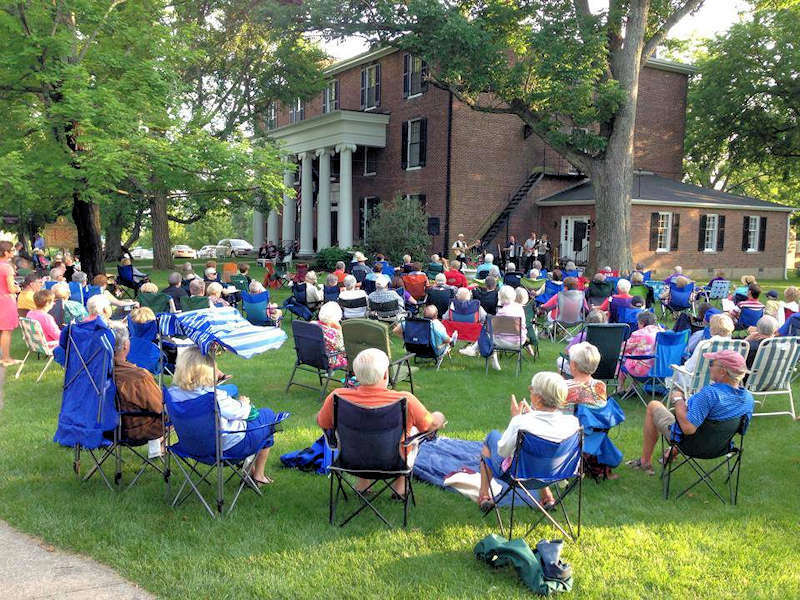 June 7, Great American Brass Band Festival Outside Concert on the lawn, Join us for a night of brass music in our beautiful lawn setting. Full GABBF details here. Father’s Day at the Inn, Come celebrate your father, grandfather, or other special man in your life with a buffet on June 16. Seating times for the buffet are 11 am, 12:30 pm, and 2:00 pm. June- September, Outdoor Summer Concert Series, Dates and details TBD. Weekend of July 19, Our second Beaumont Classics weekend, part of our 100th celebration. September 21, 100 Year Celebration Party (please note this event is invite only). November 27-28, Thanksgiving Holidays at the Inn, Full menu and details provided in November. The Beaumont Inn is the perfect getaway for Bourbon lovers touring the Bourbon trail and for those who want to relax and experience the history the Inn and that the town provides. The Beaumont Inn is conveniently located near several Bourbon Distilleries, Horse Farms, Keeneland, Centre College, and Shaker Village. For a complete listing of year long local events and attractions, please see our Things to Do section. All year long, Harrodsburg, McAfee Jamboree Saturdays, 163 Dunn Lane. April 4-26, Lexington, Spring Racing at Keeneland, Enjoy Kentucky racing at its finest. There is no racing Mondays or Tuesdays. For the perfect racing day, see our tips. April 25, Danville, Norton Center for the Arts, Jersey Boys at 7:30 pm. April 26-28, Harrodsburg, Ragged Edge Community Theater, The Marvelous Wonderettes. May 4, Louisville, Kentucky Derby at Churchill Downs, The world’s most famous horse race celebrates its 145th year! And locally the Derby Classic Walking Horse Show. May 24-26, Harrodsburg, Shaker Village of Pleasant Hill, Chamber Music Festival of the Bluegrass. June 6-9, Danville, Great American Brass Band Festival, Weekend of world- renowned brass in the setting of Centre College and downtown Danville and at our Inn. June 8-9, Danville, Danville Art Festival, Your chance to discover fine art in a variety of media while enjoying the Brass Band Festival. June 16, Harrodsburg, Harrodsburg 245th Birthday Party! July 18-20 and 25-27, Harrodsburg, Outdoor drama production of “James Harrod: The Battle for Kentucky,” at the James Harrod Amphitheatre. July 22-27, Harrodsburg, The Mercer County Fair & Horse Show at the Mercer County Fairgrounds. 192nd Year! August 1-4, US Highway 127 Yard Sale. Dine and stay with us while you search for great deals at the yard sales. August 3-4, Harrodsburg, Shaker Village of Pleasant Hill, Shaker Village Craft Fair. August 16-18, Harrodsburg, Pioneer Days at Old Fort Harrod State Park. September 20-22, Harrodsburg, Fort Harrod Jazz Festival. September 28-29, Harrodsburg, Shaker Village of Pleasant Hill, HarvestFest. October, Lexington, Fall Racing at Keeneland, A Fall setting is the perfect way to enjoy a day at the races. There is no racing Mondays or Tuesdays. October 4-5, Harrodsburg, Bikes, Blues and BBQ, A weekend of delicious food and fun! October 4-27, Harrodsburg, Devine’s Corn Maze, Perfect place to celebrate Fall for families! October 10-12, Danville, Centre College Homecoming, Come stay with us and then head over to Centre College to enjoy a weekend full of Centre College events. October 11-12, Harrodsburg, Oktoberfest on Main Street full of bands, food, and fun! October 18-19, Partly through Harrodsburg, 200-mile relay on the Bourbon Trail. October 19, Harrodsburg, Shaker Village of Pleasant Hill, Boo Cruise! October 25-26, Harrodsburg, Shaker Village of Pleasant Hill, Trick-or-Treat! November 23, Harrodsburg, Old Fort Harrod State Park, Holiday Open House. December 6, Harrodsburg, Main Street, Twilight Christmas Parade. December 6-7, Harrodsburg, Harrodsburg Historical Society, Christmas Tea Room. December 7, Harrodsburg, Harrodsburg Historical Society, 28th Annual Holiday Home Tours. December 7, 14, and 21, Shaker Village of Pleasant Hill, Illuminated Evenings.